This is the website dedicated to the artist and botanical illustrator Ludwik Dutkiewicz, who was born in Poland and lived most of his adult life in Adelaide, South Australia. Ludwik’s botanical illustrations are owned by his former employer, the Adelaide Botanic Gardens (and State Herbarium), so the approximately 1500 ink drawings and colour plates are not accessible without permission. Nevertheless, examples have been widely published in journals and books and catalogues on, or featuring, botanical illustration. The purpose here is to show an array of his personal, creative work that spanned from c.1940-2008, which centred around his wonderful, imaginative abstract paintings in oils and acrylics. He also experimented with collage, photography and collaborated on three experimental film projects 1964-69. 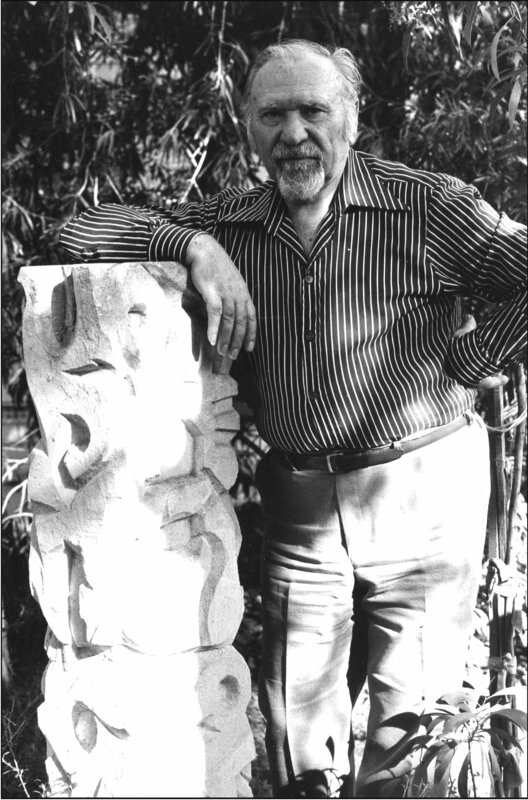 Photograph of the artist by Graeme Hastwell, c.1987. Photographs of paintings by Graeme Hastwell, unless otherwise credited.